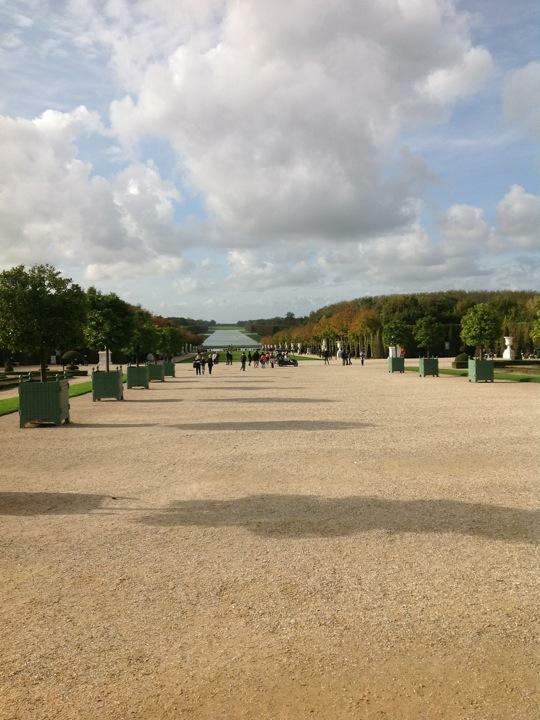 Yesterday I visited the Palace at Versailles. The palace was huge. Really it was too big. There must have been 1000 rooms. We didn't see them all because mostly we wanted to see the gardens. The gardens go on for miles, you can rent golf carts to drive around, but we didn't have time. The palace is on a hill and we could see people was down at the lake and it was so far away, they looked like ants. Most of the flowers were gone for winter, but I bet it would be even more amazing in the spring and summer.